Our new (this year) raised bed gardens performed very well in spite of the June floods and the recent lack of rains. We have been dry for over six weeks. The weatherman says we are three inches behind in the rain department. 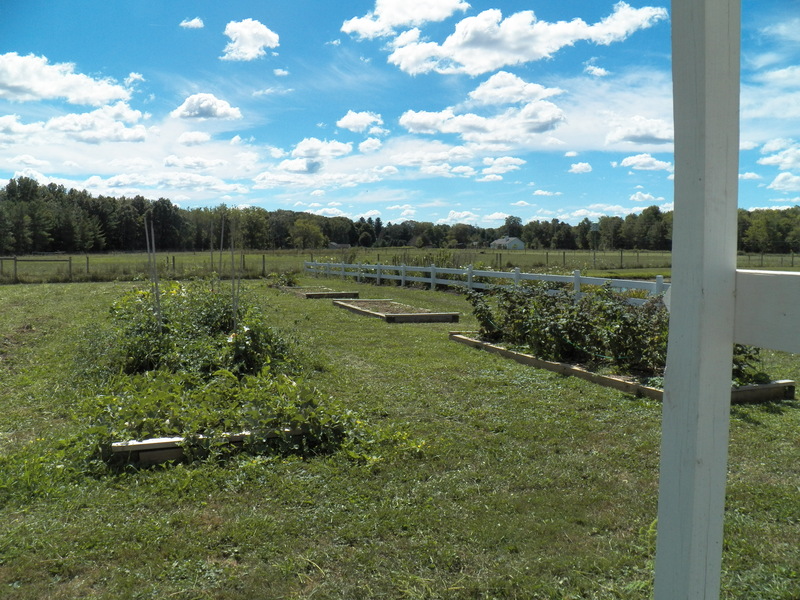 Being able to control the amount of moisture no matter what the weather helped us to grow an abundance of food even though our plots were the smallest we have ever grown. Next week we will plant a few things. Any month with and “R” in it is the time for planting trees, shrubs and most perennials. I need to plant all of the above and will even try boldly to relocate our strawberry bed. The horses and I will soon be plowing for speltz, but I am holding out a little longer for some soil softening rain. The water will make the plow pull easier and believe me, we are a very long way from being too wet to plow. The soil and the weather rule and guide a farmer…that is just the way it grows.